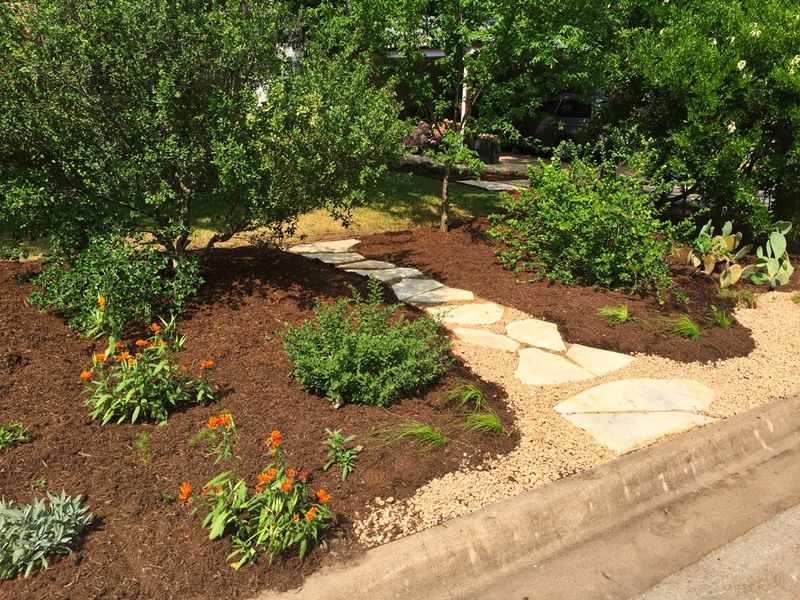 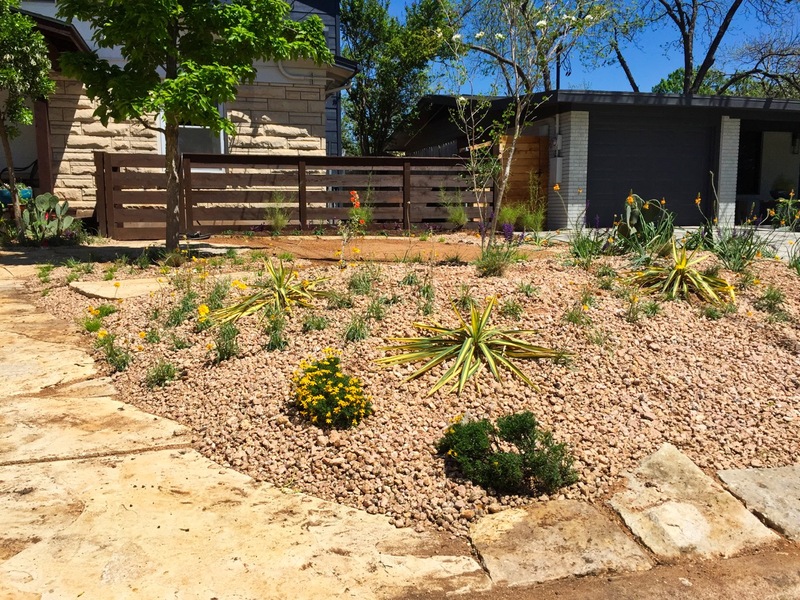 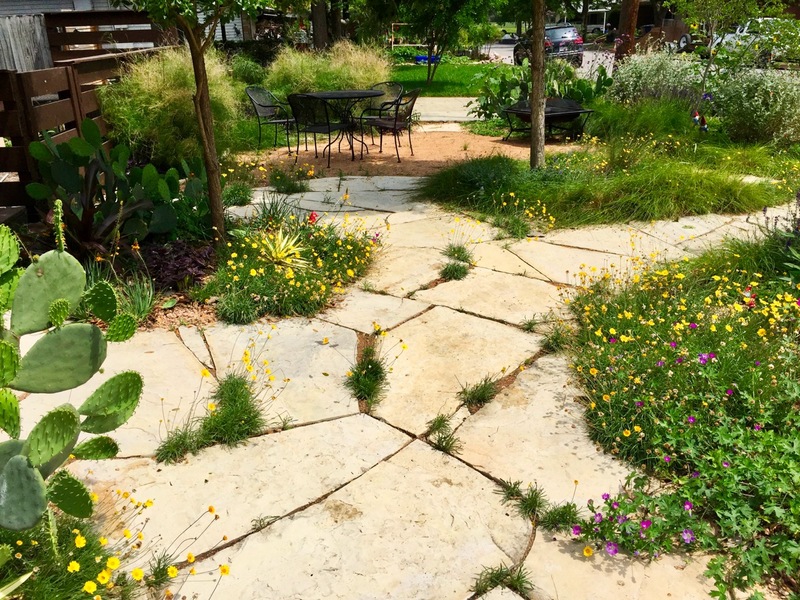 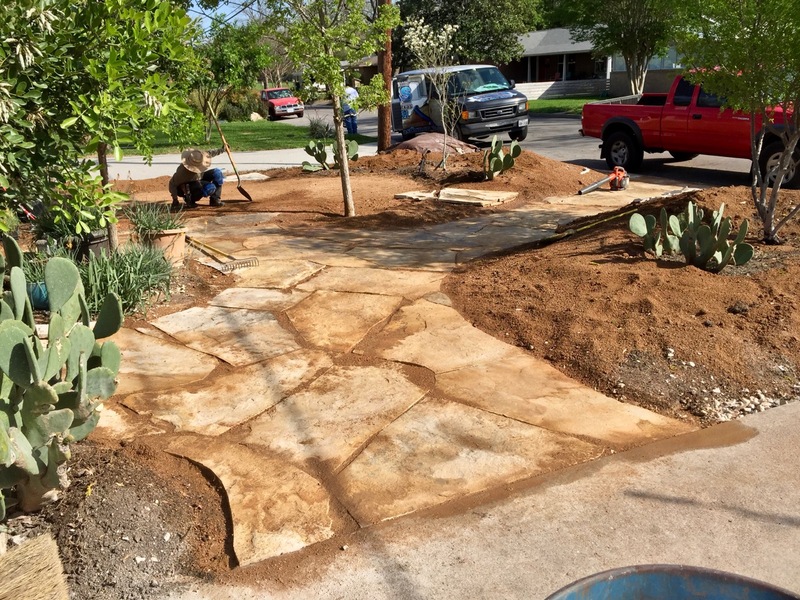 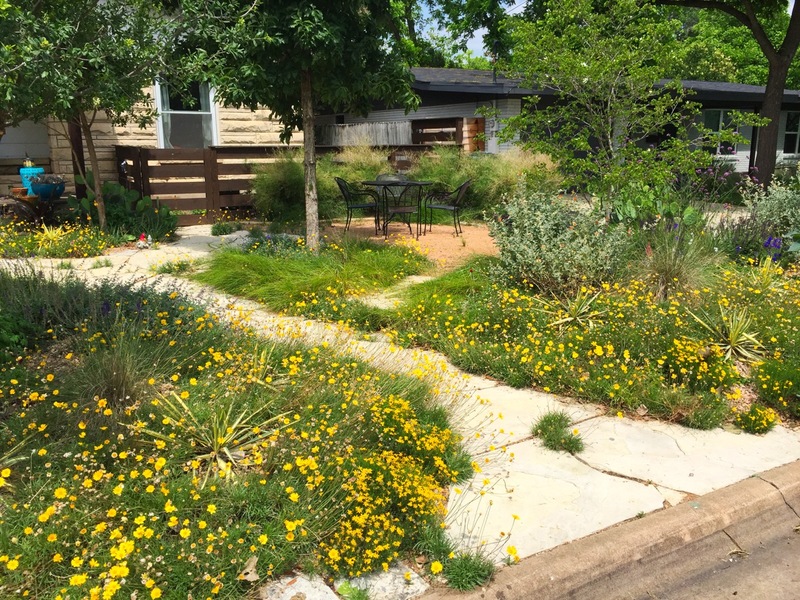 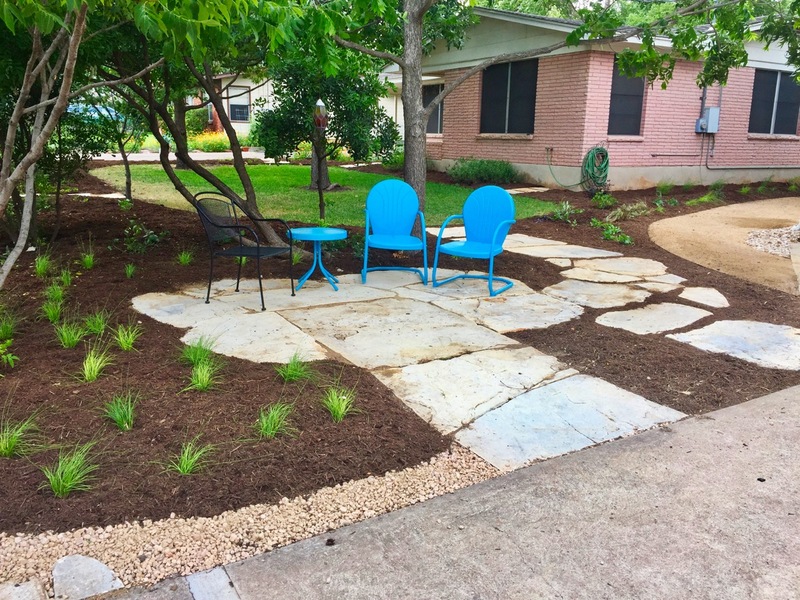 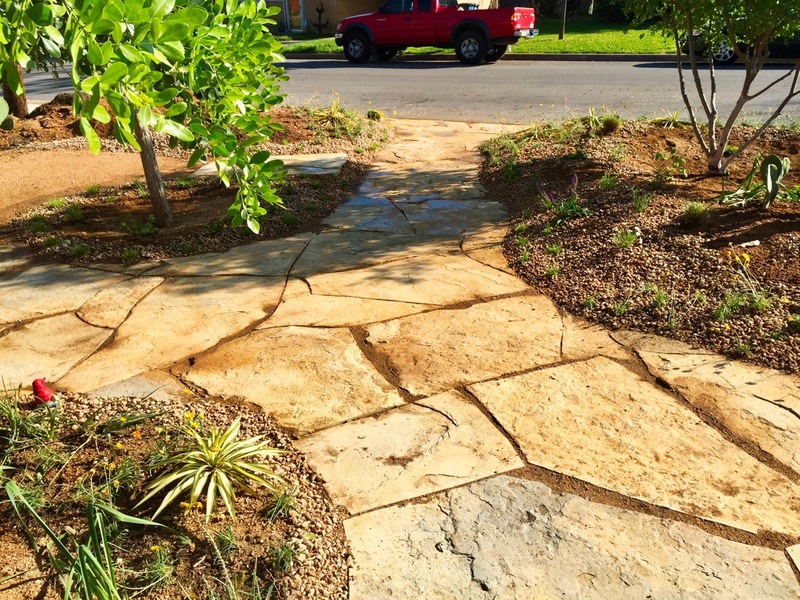 We transformed an overgrown front yard into a lush space with natural hardscape, seating areas, and privacy from the street… all while maintaining the truly neighborly connections the family had. 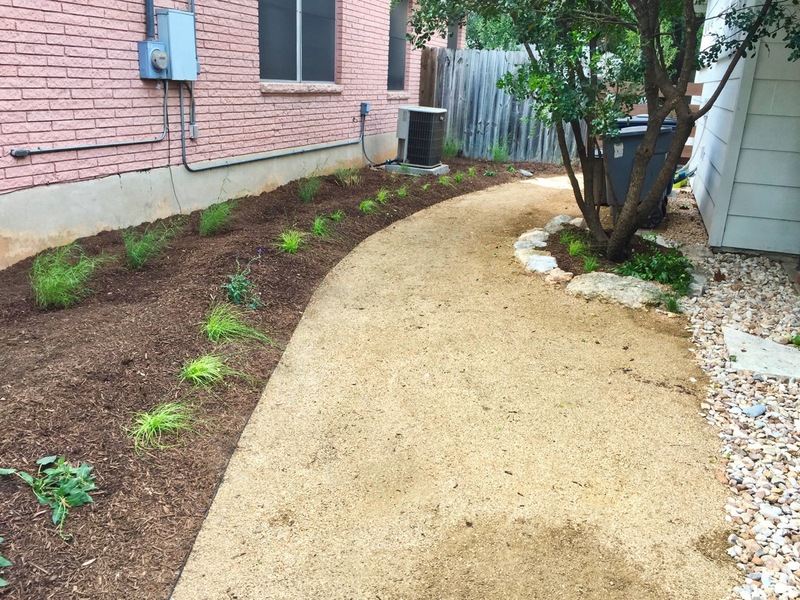 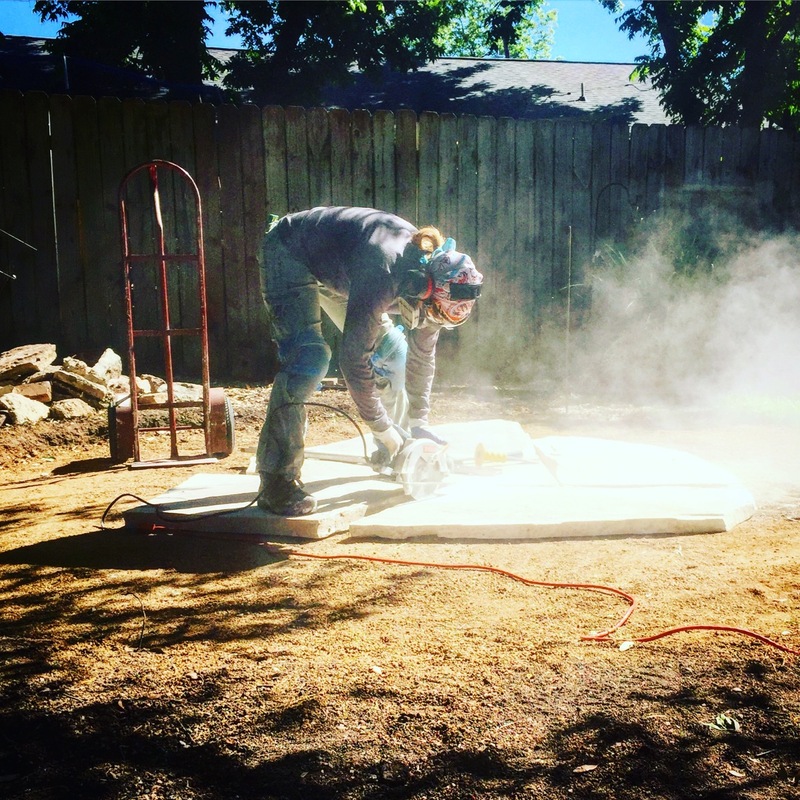 We did the front yard as a an early project, but were asked back to work on the back yard, and the neighbor’s yard, as well! 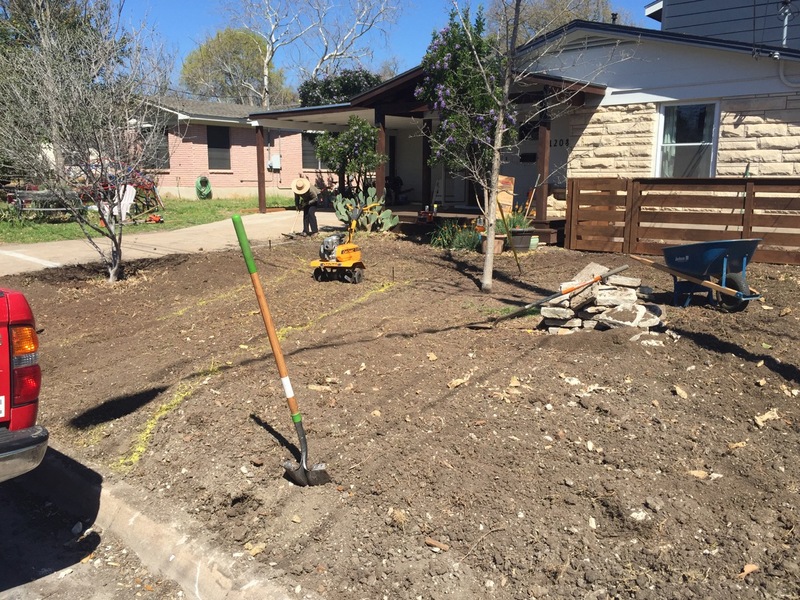 Before we started, and as the house underwent renovation. 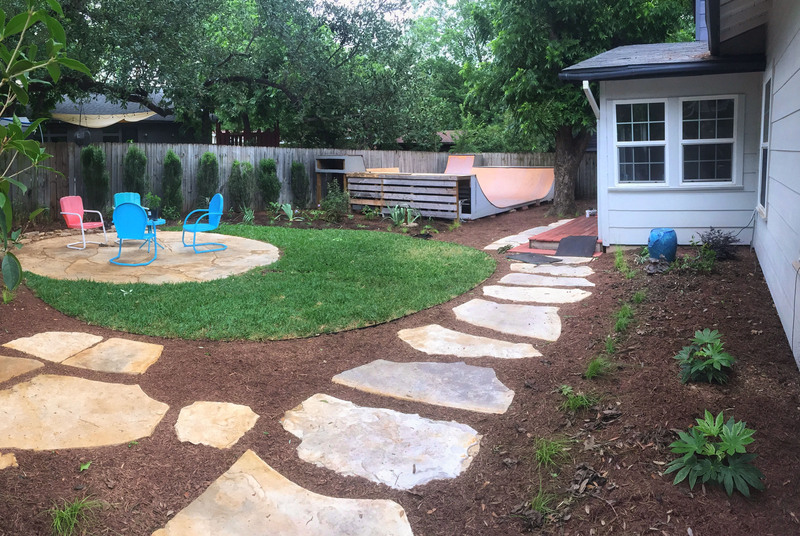 Second seating area newly completed.